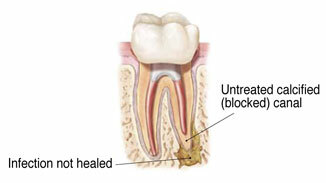 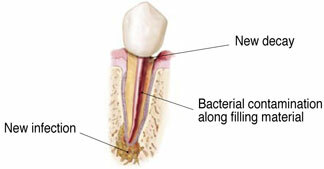 First, the endodontist will discuss your treatment options. 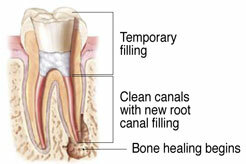 If you and your endodontist choose retreatment, the endodontist will reopen your tooth to gain access to the root canal filling material. 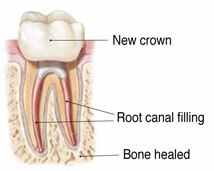 In many cases, complex restorative materials - crown, post, and core material - must be disassembled and removed to permit access to the root canals. 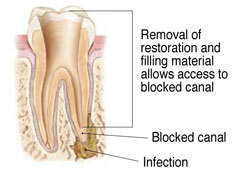 As with any dental or medical procedure, there are no guarantees. 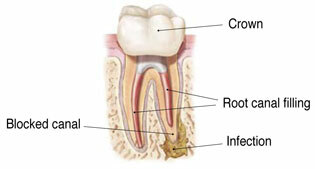 Your endodontist will discuss your options and the chances of success before beginning retreatment.